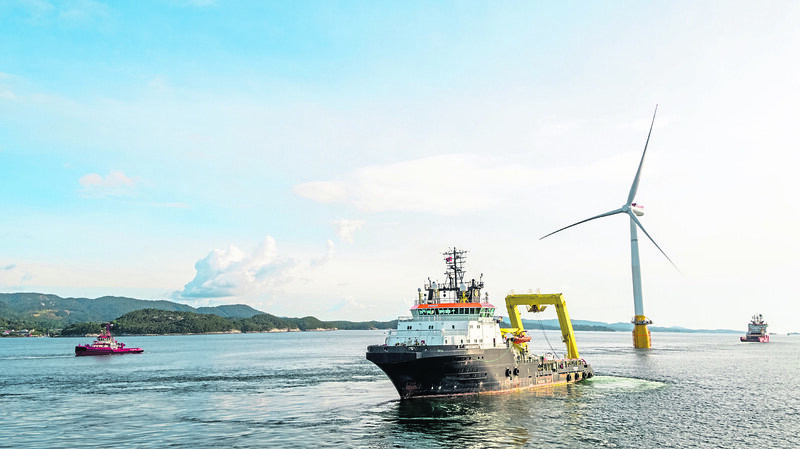 The Floating Offshore Wind event will cover how to strengthen the supply chain, operations and maintenance. A Scottish offshore wind insider claimed last night a Westminster and Scottish Government-led supply chain summit simply “exposes the fact that British engineering is not the cheapest in the world”. He claimed that there was ample opportunity for a UK supply chain success story, if people ceased fixating on the plight of troubled firm BiFab. The fabrication firm was rescued from the brink of administration by a multi-million Scottish Government bailout last April before being purchased by Canadian company DF Barnes. Despite the takeover, hundreds of jobs were shed across the firms three yards at Arnish and Fife. The offshore wind developer said: “The BiFab situation missed the fact that the biggest part of the work came to the UK anyway, in the form of the Smulders contract at their yard in Wallsend. Last month, Scotland’s energy minister Paul Wheelhouse revealed “patience was wearing thin” with wind developers who take Scottish Government support, only to hand construction contracts to foreign suppliers. Mr Wheelhouse was speaking as news leaked that Belgian firm Smulders had won a £200m contract to construct 55 turbine jackets for the Moray East Offshore Wind Farm. He claimed the sector has created “unintended consequences” in terms of the pressure it puts on developers to go for the cheapest supplier and not necessarily one which generates the greatest return for the treasury. Mr Wheelhouse added: “The summit will try and get to a common understanding of what steps could be taken, whether it’s by the UK Government or ourselves, to try and support the supply chain.